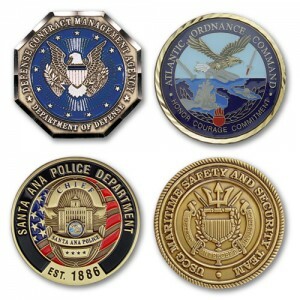 Challenge coins have a long history as a recognition of service in the branches of the military. Now they are a popular symbol of teamwork and membership for public safety officers, teams, fraternal organizations and corporations. 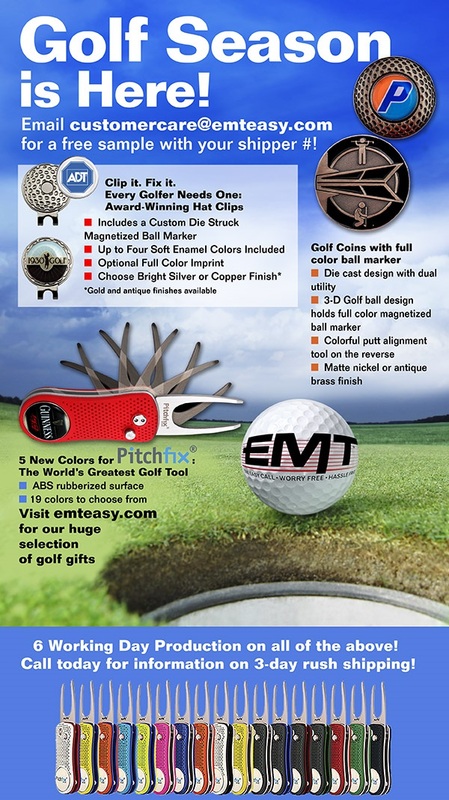 EMT is the 2014 Distributor’s Choice for Jewelry, Coins & Patches. It’s Golf Season! 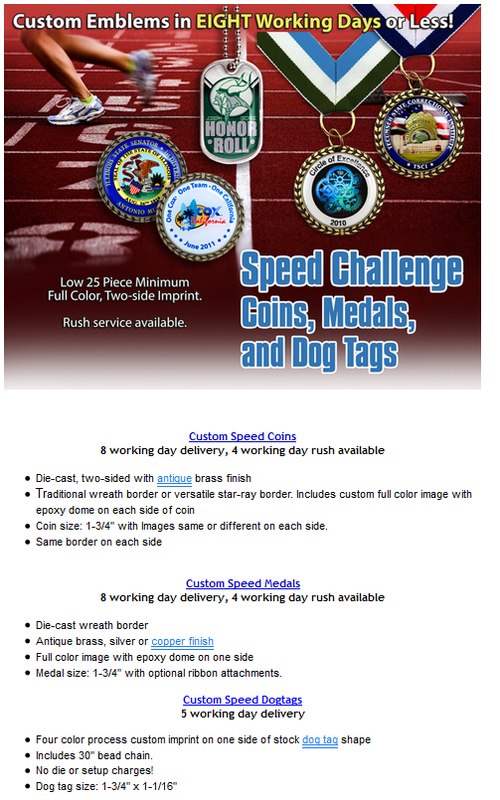 Email customercare@emteasy.com for a sample with your shipper #! The Chinese New Year Won’t Slow You Down: Place Orders by These Dates to Get Order by February 1, 2014! 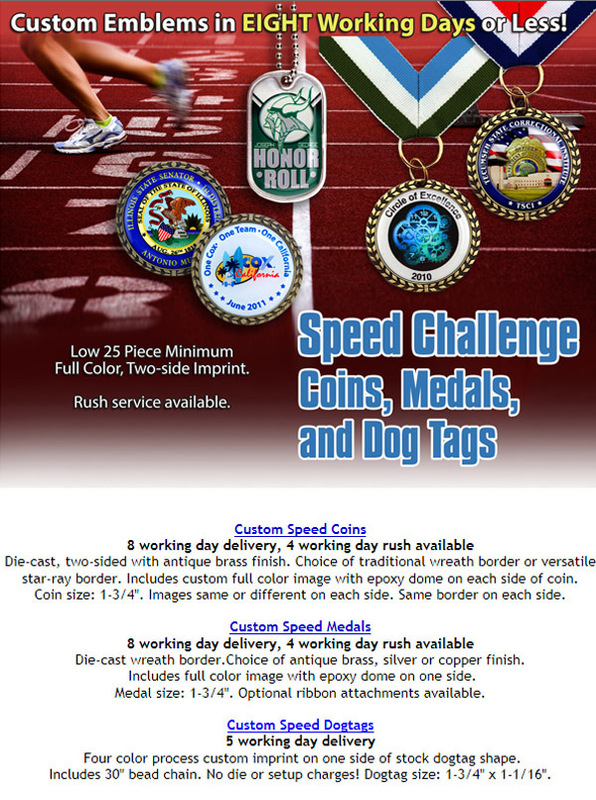 Challenge Coin Rules and history posted by Goat Locker. 4. Failure to produce a coin, for whatever reason, results in a bought round or single drinks (whatever the challenger stated). This type of transaction could be expensive, so hold onto your coin. Once the offender (coinless challengee) has bought the drink or round, they can’t be challenged again. 6. 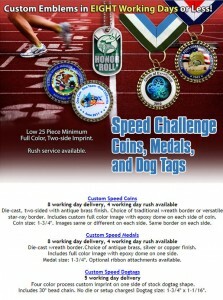 Under no circumstances can a coin be handed to another in response to a challenge. If a person gives their coin to another, that person can now keep the coin — it’s theirs!!! However, if a person places the coin down and another person picks it up to examine it, that is not considered giving and the examiner is honor-bound to place the coin back where they got it. The examiner can’t challenge while they hold another’s coin. After negotiating a “reasonable” ransom”, the examiner must return the member’s coin. 7. If a coin is lost, replacement is up to the individual. A new coin should be acquired at the earliest opportunity — losing a coin and not replacing it doesn’t relieve a member of his or her responsibilities. 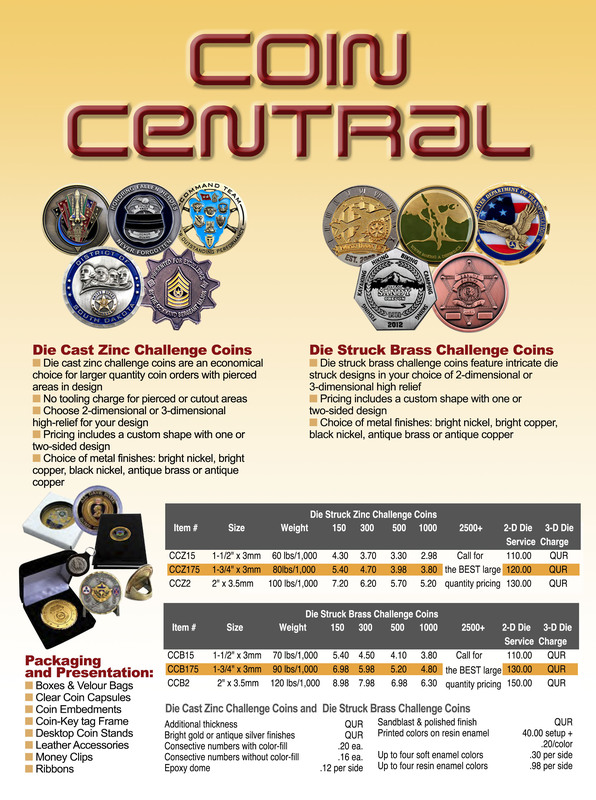 This is especially true if your fellow CPO’s know that you traditionally carry a coin. 10. The coin should be controlled at all times. Giving a coin to just anyone is like opening a fraternity to just anyone. 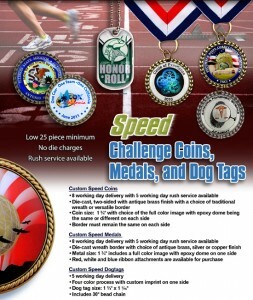 It is an honor to be given a coin, let’s keep it that way. A given or awarded coin is of more personal value than a purchased coin. Speed Challenge Coins, Medals, and Dog Tags in 8 Working Days or Less!